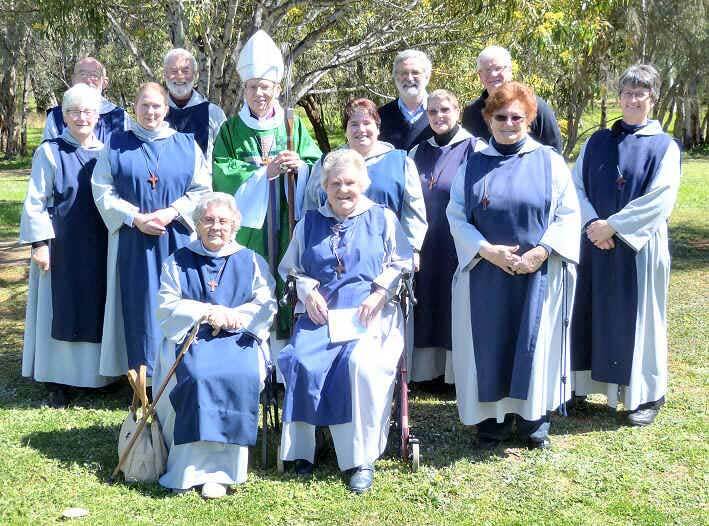 The Community of Saints Barnabas and Cecilia (CSBC) is both a residential and dispersed religious community founded within the Anglican Dioces of Willochra in rural South Australia. While its foundation is within the Anglican tradition, it seeks to be ecumenical in spirit and practice. The Community of Saints Barnabas and Cecilia are a group of Christians who are seeking to glorify God by a life of daily prayer and ministry of encouragement to develop the talents God has given them for a ministry in the church and in the world. The members of CSBC aim to love and serve God by maintaining a balanced life of prayer, study, manual work, hospitality, recreation and ministry. They also strive to discern the Spirit of God calmly and quietly, emphasising simplicity of life a commitment to the local church, care for the environment and concern for truth and justice. The Community of Saints Barnabas and Cecilia has dispersed community members throughout South Australia. After initial contact with the Community the interested person (‘Seeker’) and the Community pray. As interest develops the Seeker can receive more detailed information about the Community and is invited to Gatherings. They are encouraged to stay at NABAS HOUSE. When the Seeker is ready an application can be made to enter a period of discernment. During this period the Novice will be assisted by their Spiritual Director and a Mentoring team. Regular attendance at NABAS HOUSE, Community Chapters and Gatherings will offer insights into the life of the Members. Should the Novice decide to continue, their application is brought to the Chapter who make the decision to accept or refuse the application. Profession and renewal of vows take place at the Annual Retreat. The Visitor of the Community, usually the Bishop of Willochra receives the vows of Simplicity, Chastity and Obedience, The member is subject to the rule of the Community, wears the community Cross, attends quarterly Chapter meetings and monthly gatherings. Wearing a habit is optional.